It’s big news. The deal in Atlanta between 12 countries means that the Trans-Pacific Partnership (TTP) will cover about 40% of the global economy. The deal is between the US and 11 other countries – Japan, Australia, New Zealand, Singapore, Vietnam, Brunei, Canada, Chile, Mexico, Malaysia, and Peru. The aim is to reduce tariffs and try to harmonise rules on jobs, competition and intellectual property. It covers “everything from pharmaceuticals and banking to milk”, according to The Guardian. 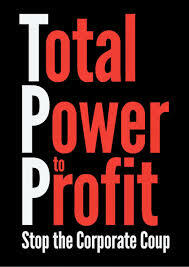 TTP is another step in the march of globalisation. Many are worried that globalisation might not be in the best interests of British workers. Third Way has long advocated domestic demand-oriented growth, and that means paying attention to our internal market, and to a more equal distribution of income. Restrictions on trade, can in fact, have a good effect on our home economy.